England might be the best ODI side in the world at the moment, but Matthew Crist thinks that in order to reinforce their reputation they will have to overcome their fear of facing spin when they travel to Sri Lanka. 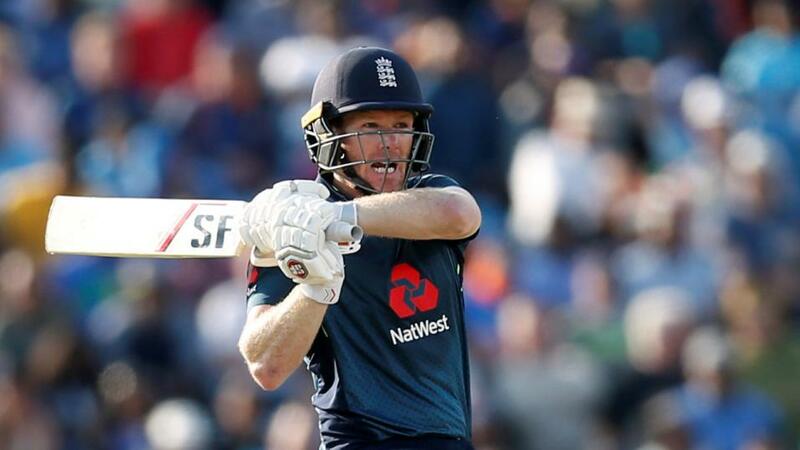 "An astonishing turnaround has seen Morgan’s side propel themselves from ODI obscurity to the number one ranked side in the world thanks to eight series wins in a row as they set their sights on next year’s World Cup in England." England go into their One Day International series with Sri Lanka on the crest of a wave having whitewashed Australia earlier this year in the 50 over format before beating World Cup favourites India 2-1 to wrap-up a pretty impressive summer with both the red and white ball. However, their record in Sri Lanka is pretty unspectacular with just six wins in 21 games and if Morgan's men are to reinforce their reputation as a top class side ahead of next year's World Cup, a tournament they are currently [3.75] favourites to win, they will have to overcome their failings against spin. Whereas their impressive victories so far in 2018 have largely come on the quick wickets played out in typically English conditions they can now look forward to the prospect of playing on the slower, spin-friendly surfaces of the subcontinent which has so often been the downfall of England's batsmen in recent years. When they last travelled to Sri Lanka to play a seven game ODI series in 2014 their frailties were highlighted thanks to a convincing 5-2 defeat which would spell the end for England skipper Alastair Cook, who was replaced by Eoin Morgan as the white ball captain ahead of the upcoming World Cup in Australia and New Zealand. But a change of captain appeared to make little difference, as England went out with a whimper having failed to even get out of the group stage of the biggest tournament in white ball cricket, much to their humiliation. However, an astonishing turnaround has seen Morgan's side propel themselves from ODI obscurity to the number one ranked side in the world thanks to eight series wins in a row as they set their sights on next year's World Cup in England; though a measly 211 against Pakistan in the semi-final of the 2017 Champions trophy shows there is little room for complacency - especially against turn on and on a turgid track. While defeat in Sri Lanka four years ago might well have been something of a pivotal moment for the visitors, if anything it signalled the start of a rather alarming slump for the home side, who have triumphed in just four bilateral series in the 16 they have competed for since; culminating in 12 ODI losses on the bounce in 2017. Like England, Sri Lanka made a number of significant changes to their line-up as a result of the defeats with skipper Angelo Mathews recently being replaced by Dinesh Chandimal, though a similar change of fortunes which has been enjoyed by England, looks some way off for a team who endured a miserable Asia Cap and are currently ranked as low as eighth in the world rankings. Their recent record makes uncomfortable reading for anyone who remembers greats like Mahela Jayawardene, Kumar Sangakkara and Tillakaratne Dilshan, all of whom have since called it a day as the once one-day specialists have become a shadow of their former selves; losing 30 of their last 40 outings in 50 over cricket. England, on the other hand, look to have a much more settled side as they prepare for the first game of the five match series on October 10 priced at [1.52]. In the bowling department summertime success story Sam Curran will be keen to play a key role alongside England's own spin specialists, Adil Rashid and Moeen Ali, whereas the batting order is one of the strongest and most settled in years. Just as well considering that when South Africa sealed a series win in Sri Lanka this August the visitors only scored more than 300 runs once in five matches; proving that despite the home side's woes, runs are bound to be hard to come by as England look to overcome their torment against turn once and for all.